What do you picture in your mind when you think of sacrament meeting? The answer might be as different from one person to another as two snowflakes are in shape, size and design. For one person, those words might trigger thoughts of a boring talk from a visiting high council member. Another person might think of noisy kids or people playing on their smart phones for an hour. Few people are quick to remember the actual purpose that sacrament meeting serves. 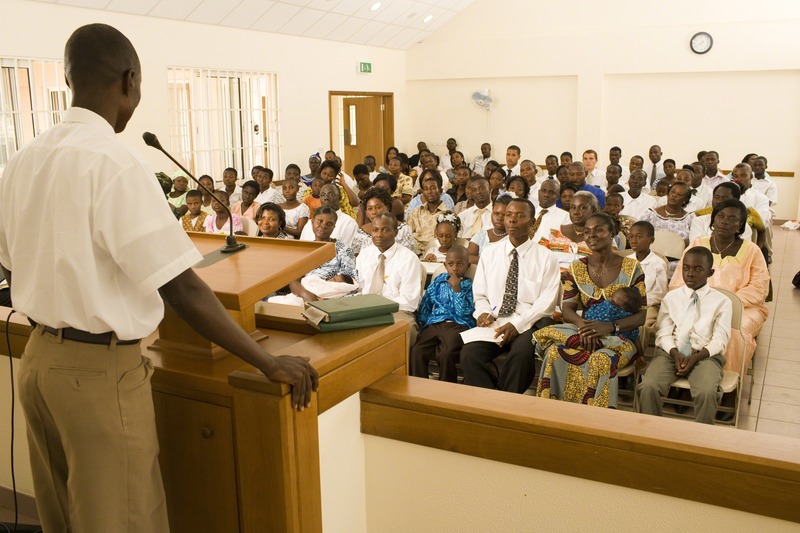 Sacrament meetings are constructed around one of the most essential gospel ordinances. Each week we partake of the sacrament in memory of Jesus Christ and his sacrifice for us. The ordinance of the sacrament offers a highly symbolic reminder of what Christ endured to throw open the door for redemption and salvation. The broken pieces of bread represent his body – broken upon the cross, so Jesus could break the bands of physical death. The small cups of water represent his blood – shed in the Garden of Gethsemane, and again on the cross, so he could break the bands of spiritual death. When we partake of the sacrament we renew a covenant with God we first made at baptism. One of the key promises in that covenant that we make – both during the prayer over the bread and the water – is to always remember Christ. Stand as a witness of Christ in all times and all places (Mosiah 18:9). 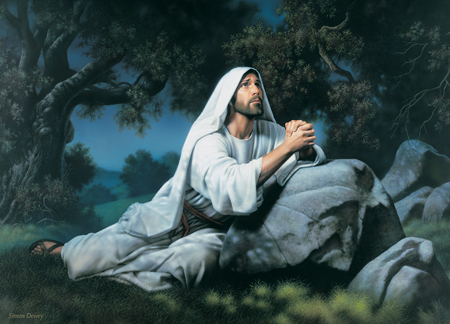 Take upon ourselves the name of Christ (Moroni 4:3). Keep the commandments of God (Moroni 4:3). One of the final instructions that Christ gave to his 12 apostles in Jerusalem after his resurrection was to go into the world and preach his gospel unto every creature (Mark 16: 15-16). The same commission applies to us once we are baptized in his name by someone with priesthood authority from God. We are expected to share the gospel of Christ. 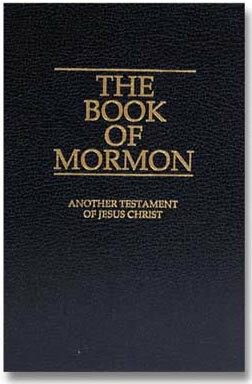 In other words, we are expected to testify of Christ and teach others about his role as our savior and redeemer. 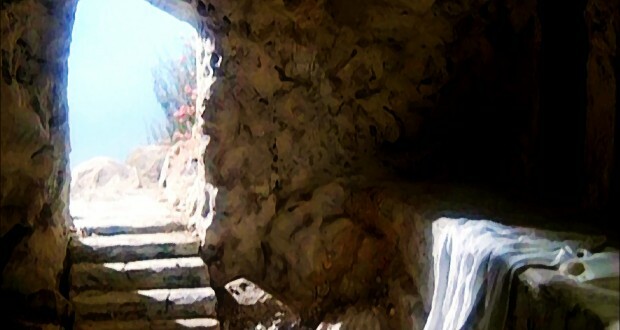 This means sharing the divine truth that Jesus suffered and died for our sins and then rose from the grave again – opening the door for each one of us to conquer physical and spiritual death and return to the presence of God. Nothing else we can do is as essential as spreading the word of Christ’s gift of salvation. Our thoughts, words and actions determine our true identity. If we desire to be counted as a disciple of Christ, we must take his name upon ourselves. How do we take upon ourselves the name of Christ? Through modeling what we think, what we say and what we do upon what our Savior teaches us in the scriptures and through the inspired words of latter-day prophets and apostles. Christ provides a perfect example of how we should live each day. If we want to be a witness of his name and his role as our Redeemer, we must find ways to be a living witness. Our lives should be a model of gospel principles and doctrines in action. This means loving our neighbor as ourselves. Serving others. Being kind and unselfish. Showing patience and humility. Being a positive influence in the lives of others is one of the most effective ways we can witness of Christ and his message. Loving our neighbor is only one part of the discipleship formula. God also expects us to love him with our heart, might, mind and strength. How do we show that love? Through keeping his commandments. One reason why the sacrament is such an important ordinance is that it helps us remember Christ. We renew our covenant to take his name upon us. We vow to remember him each day and keep all of the commandments of God. It is our reminder of how we can fulfill our sacred promise to be a witness of Christ at all times and in all places.